My image today was taken when I visited Greenfield Village of the Henry Ford Museum in Dearborn Michigan. 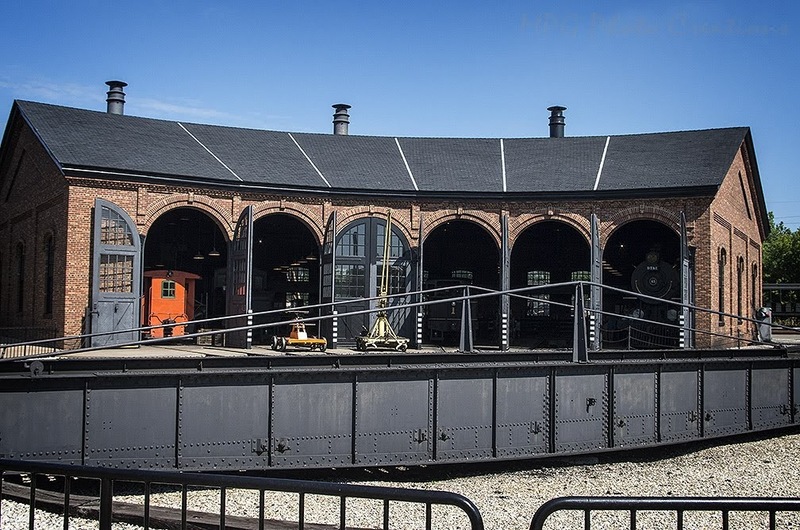 This is the Roundhouse that they still use to service the 3 steam locomotives that they rotate in operation. 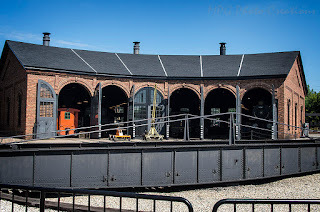 It was originally built in 1884 for the Detroit, Toledo and Milwaukee Railroad in Marshall Michigan and was then moved here. The locomotive on the right is a static display because it is too large to operate on the current tracks. You can walk down underneath it for a unique view.